When Helen Macdonald's father died suddenly on a London street, she was devastated. An experienced falconer captivated by hawks since childhood, she'd never before been tempted to train one of the most vicious predators: the goshawk. But in her grief, she saw that the goshawk's fierce and feral anger mirrored her own. Resolving to purchase and raise the deadly creature as a means to cope with her loss, she adopted Mabel and turned to the guidance of The Once and Future King author T. H. White's chronicle The Goshawk to begin her journey into Mabel's world. Projecting herself "in the hawk's wild mind to tame her" tested the limits of Macdonald's humanity. By turns heartbreaking and hilarious, this book is an unflinching account of bereavement, a unique look at the magnetism of an extraordinary beast, and the story of an eccentric falconer and legendary writer. 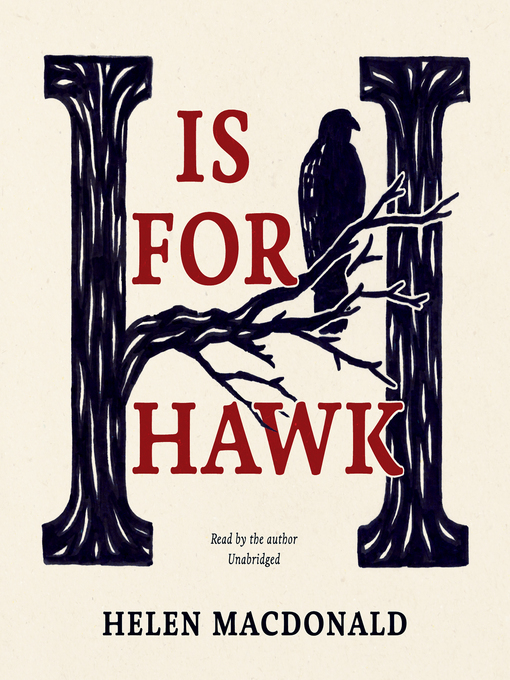 Weaving together obsession, madness, memory, myth, and history, H Is for Hawk is a distinctive, surprising blend of nature writing and memoir from a very gifted writer.